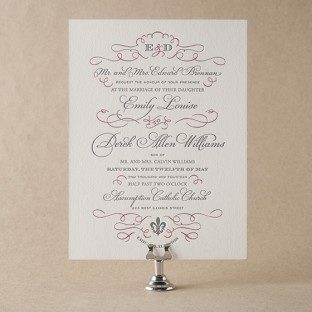 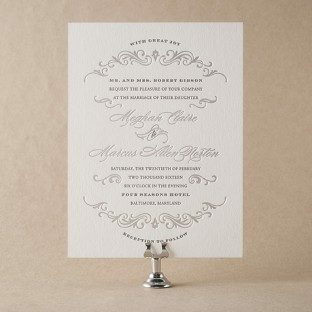 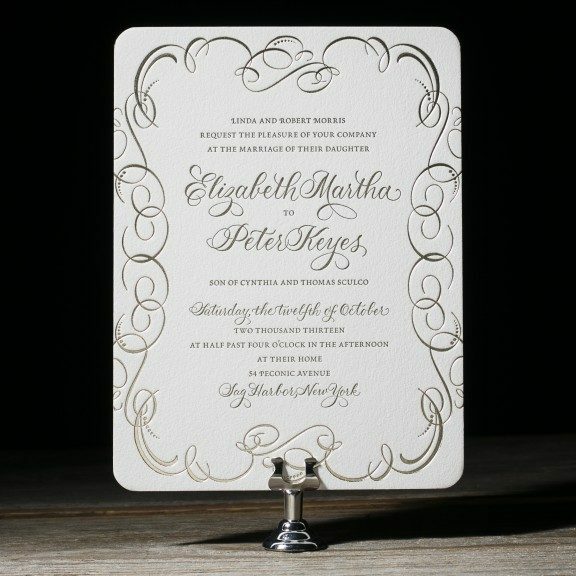 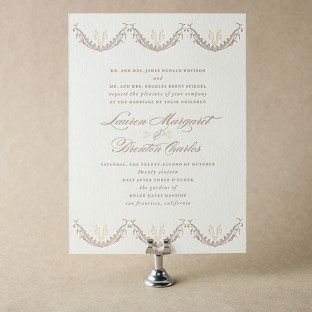 When wedding planning ideas call for formal style and vintage elegance, look no further than Ornate Flourish letterpress invitations from Beth Barr. 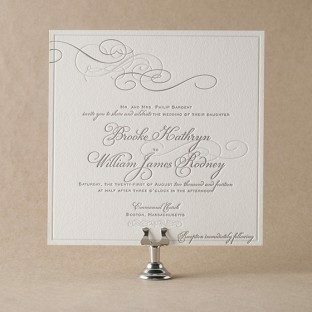 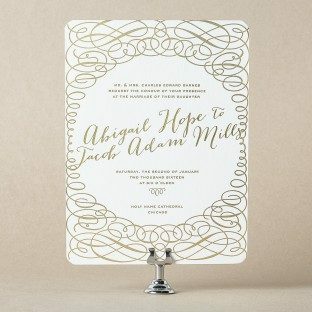 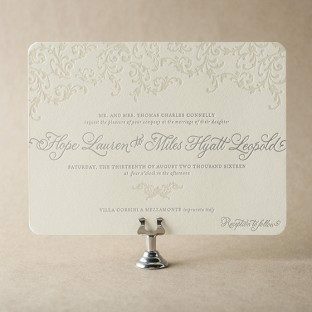 With their graceful swirls and delicate demeanor, these eco letterpress invitations are perfect for a traditional wedding with sophisticated charm. 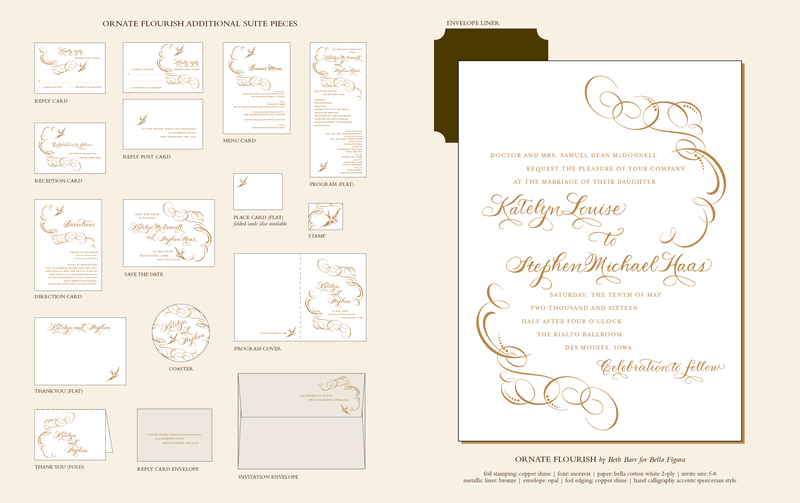 View additional pieces in the Ornate Flourish sample suite. Elegant swirls and flourishes surround this customization of our Ornate Flourish design. 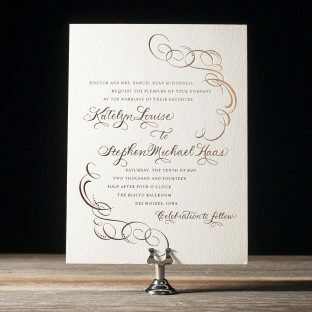 Copperplate calligraphy accents by Debi Zeinert add a personal touch to these romantic wedding invitations. 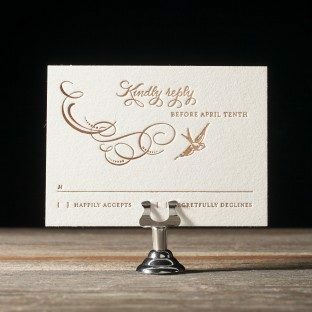 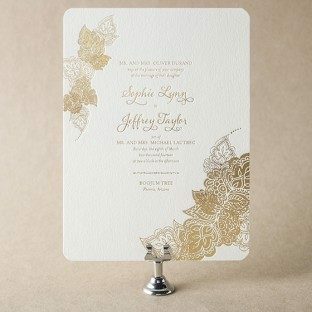 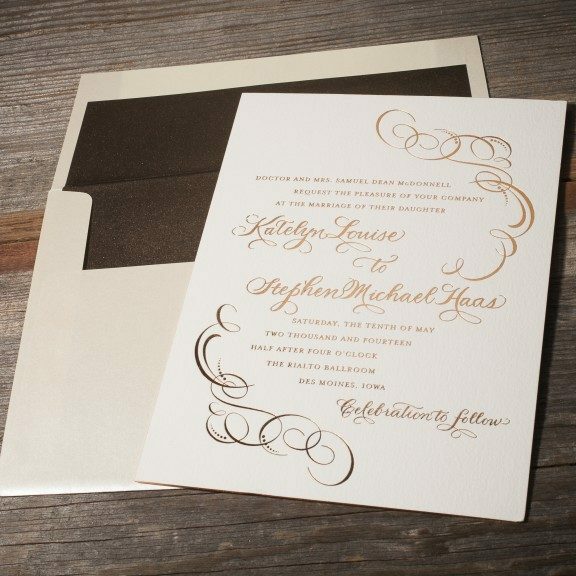 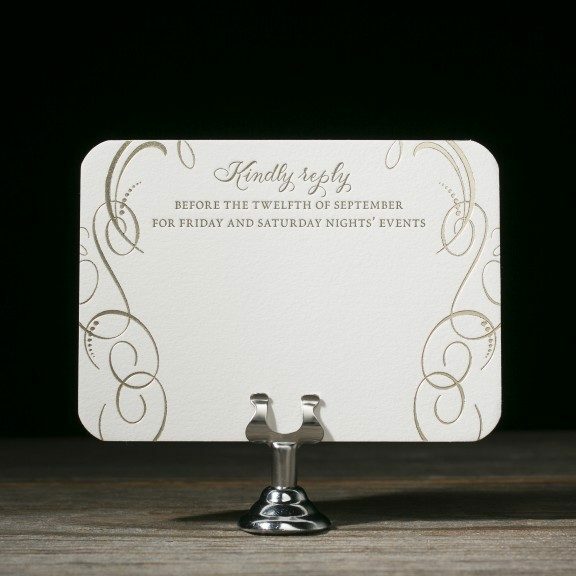 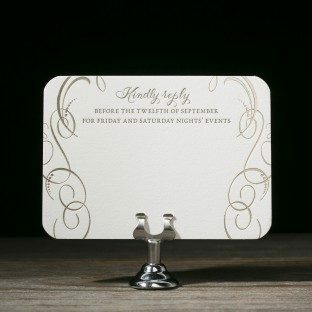 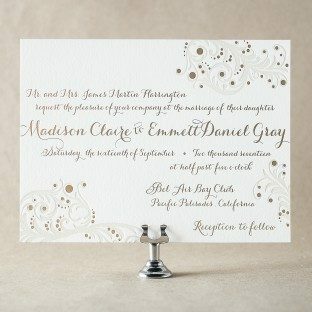 This elegant reply card features tawny matte foil with taupe letterpress ink.